Westlin Beck lost her best friend to adventure camp for the summer and her boyfriend is busy saving money for a new car. She’s short of a summer business partner. Her father suggests working with the new boy, Silas, who recently moved to the small town of Green Lake with his family. Silas is different from anyone she has ever met and the more she gets to know him, the more her life changes forever. Excuse me as I fangirl over Truest for a paragraph. I loved this book! I love Silas! I love the whole premise! I love the thought-provoking philosophy—the conversations characters bring! This book made me weep, made me think, and left me with wanting more (dear Jackie Lea Sommers, can we please have a sequel?)! I love using exclamation points to show my love! End of fangirling. Raw, heartbreaking, and gorgeous, Truest is not what I expected. Another contemporary, I thought, with a gorgeous boy, a lonely summer, and a clueless girl. I was wrong about so many things (except the gorgeous boy, of course). This isn’t a fluff contemporary, it’s a contemporary with depth, thought, and power. Westlin defines the person in all of us—searching, figuring out who we are, wondering about faith, life, and beyond. She’s a wonderfully-crafted character who is relatable but also, at times, infuriatingly selfish. During the book, there are certain scenes where West would do something, where I would expect the opposite and it would aggravate me so. It had me responding aloud with how can you act this way and what are you doing. That is how to determine a realistic character—non-fictional beings are, most times, extremely unpredictable. Sommers made West incredibly real, making every moment feel like it was happening beside the reader—not just in a book they were reading. Silas was not just a gorgeous boy, but a strange and curious boy. 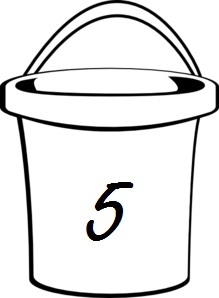 He had questions and the most random conversations that led the plot in fascinating directions. It surely created a fast and entertaining read. Sommers’ side characters, also, held a certain depth that most novels cannot hold. Silas’ sister who had a secret no one ever could see come was the real plot of the whole book, it’s what kept you reading even past midnight. The whirlwind of emotions pushed me to reread passages, to fully grasp every second, hoping for another chance to relive Truest. 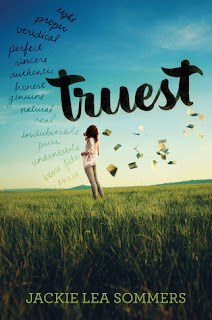 Unlike any contemporary I’ve ever read, Truest is truly a work of art, leaving readers with a thirst they can’t quench until they read it again.